Dylan Hughes is a graphic designer based in New York and a recent graduate of Parsons School of Design with a BFA in Communication Design. His work includes a focus on identities and systems that are influenced by personal narratives. Through design, he aims to create a wide range of authentic and conscientious experiences. Through a series of questions, I asked myself about the role communication design has in systems used by larger populations and questioned the idea that brands are like people. 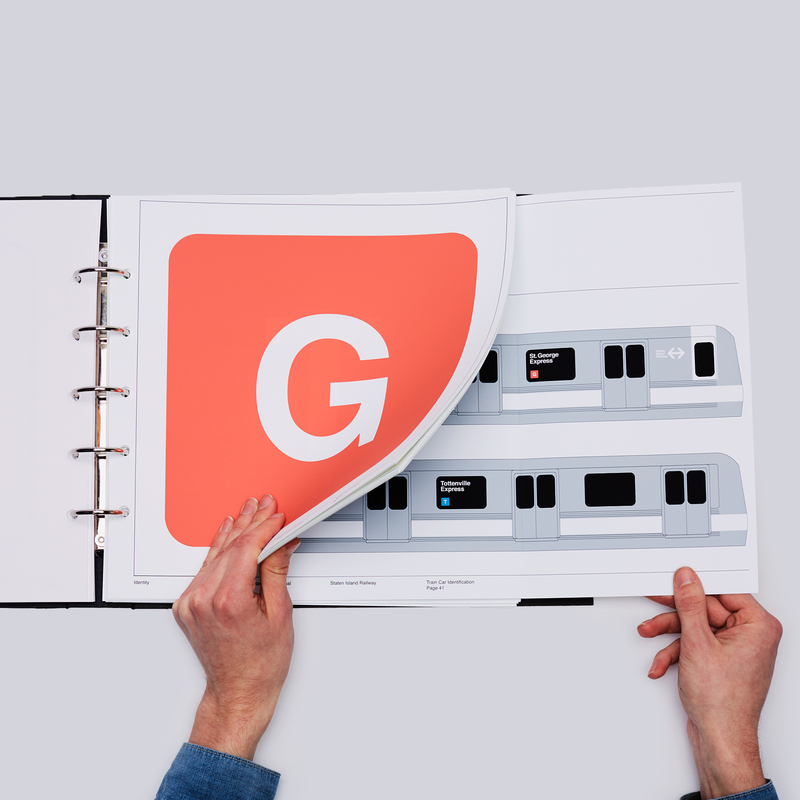 The research led to my main inspiration of graphics standards manuals such as the MTA subway system by Massimo Vignelli. With a new take on standards manuals, I adopted the format of a manual to share personal stories. Identity is a graphics standards manual in the form of a binder. The project describes the relationship between the common commute of Staten Island and my family’s specific experience of it. The dehumanizing visual design of the graphics standards manual illustrates the prosaic nature of the commute, while simultaneously masking the humanity revealed in the narratives from my family. Lose your ego. But don’t lose your self-confidence. Being a talented designer is the easy part. It takes much more to be someone who can speak up and share their thoughts. Most of it is faking it until you make it. Designers are very good at faking it. A little too good sometimes. Want to know more about Dylan Hughes?